The British Grand Prix started under summer skies, but eventually delivered a typical English day, with rain arriving unexpectedly for the final third of the race. When the rain came, Raikkonen had been lying fifth and switched to Intermediate tyres on lap 38, while Vettel came in four laps later. It was enough to make the difference when it came to tyre management, given that the rain intensified just as Sebastian made his stop. 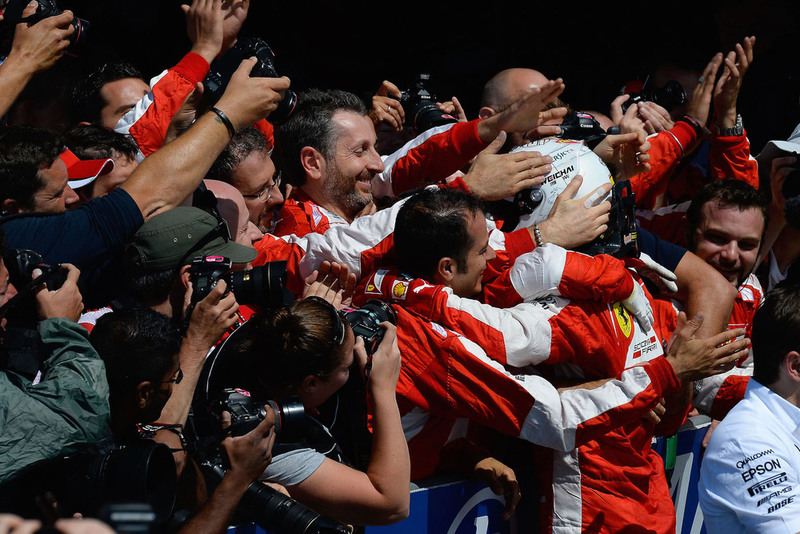 Thanks to a great strategy, Vettel managed to jump the two cars ahead to go from sixth to third place, thus returning to the podium after a two race absence. 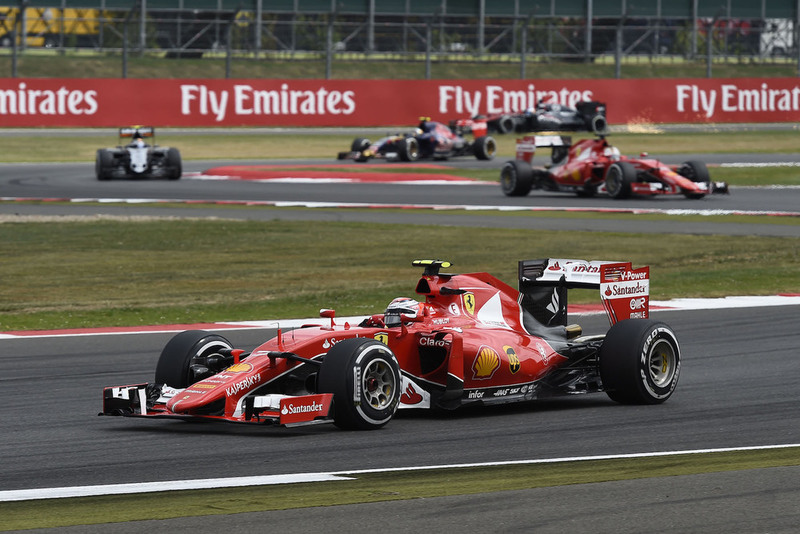 Raikkonen was forced to make a further stop because his tyres were degrading and he ended up eighth. The race was won by Lewis Hamilton for Mercedes.